Hewlett-Packard and Samsung Electronics will now ensure that their PCs in China are installed with licensed Windows and Office software as part of new agreements signed with Microsoft meant to fight piracy. 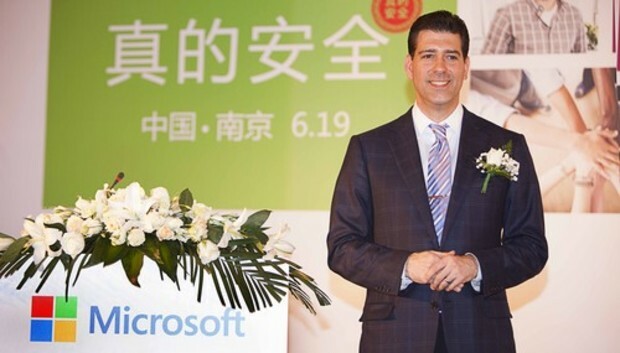 Microsoft announced the agreements Wednesday as the company brought its latest anti-piracy campaign to the Chinese city of Nanjing. Since December, Microsoft's "Keep it Real" campaign has been educating the Chinese public on security risks of using unlicensed Windows software. In addition, the U.S. software giant has been warning dozens of PC resellers in China to stop dealing in pirated copies of its software products. Wednesday's agreements call for the two companies to also require their direct channel partners to promote genuine Microsoft software. In March, Microsoft signed a similar agreement with Lenovo, China's largest PC maker. At the time, Microsoft said the deal would help limit and prevent PCs, moving "downstream" through China's channels, from being installed with pirated versions of Windows. Much of the bootleg software ending up on PCs results from manufacturers installing a free non-Windows operating system on the device before it ships, according to Nick Psyhogeos, vice president of Microsoft's OEM business solutions group. To keep costs down, distributors will at some point usually install an unlicensed version of Windows on to the PC before it goes for sale. Onezero, an electronics retailer with stores in China, has also pledged to sell PCs pre-installed with genuine copies of Windows, said Microsoft on Wednesday. The U.S. software giant has been fighting piracy in China for years. In 2011, the country was second behind the U.S. in the commercial value of its software piracy, which was valued at US$8.9 billion, according to a study from the Business Software Alliance. China is now the world's largest PC market, and the value of its software piracy is expected to surpass the that of the U.S. soon. Microsoft recently studied 221 PCs bought in China that had been installed with unlicensed versions of Windows, and found that often they contained security threats. Of the 221 PCs, 54 percent contained malware, while another 56 percent had their firewalls tampered with or disabled.